The Senator wants to know that, if e-mail is dead, does that mean he can't get an iPhone? Please inform agencies that we will have all electronic records archived as soon as we finish our telegraph archives. Someone named "Daemon" has been sent numerous messages from the agency, but we cannot locate his office. Note: Please keep all messages with misspellings. We may put them on a "Best of NARA Bloopers" web site someday. The White House claims those weren't e-mails - they just hit the "send" button a bunch of times. If the Senator keeps a blog, and no one reads it, does that count as an "official communication?" re: your earlier question. It will not be necessary to keep records of scores on Grand Theft Auto, even if it was the high that week. When we entered, the staff members started writing everything down on paper. Do we still collect paper messages? You're thinking of Mel Gibson. Aren't wikis an extinct, flightless Australian bird? The Senator told us that he read somewhere that e-mail is dead, which saves him the trouble of having to learn it. I've re-read the proposed legislation. There is nothing in there requiring us to keep records of our own communications. There is a god. Does anyone know how to erase the previous message from the hard drive? 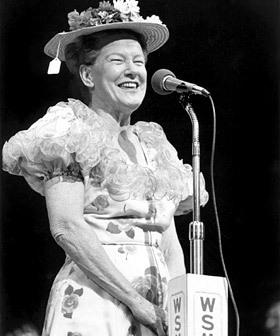 The naked Angelina Jolie on this link bears an uncanny resemblance to Minnie Pearl. Pick 10 best and send to me immediately. I'm putting together a powerpoint for tomorrow. Have located an entire hard drive of knock-knock jokes. Will wait for your directive. Repeat - for the time being, keep everything. We have just discovered that all White House systems contain links to something called "numa numa". We have to investigate. The Senator has kept all his Nigerian letters. He says that, despite the terribly sad circumstances surrounding Minister Kelly's demise, in this current economic climate we'd be foolish not to do something with all this unclaimed money. He proposes creating a department to dispense the funds to other grieving American relatives of foreign officials who have squirreled away obscene amounts of money. He will invite the widow here for the ceremony and use her with a giant check for a photo op. For the time being, keep everything. We are still trying to figure what a Wiki is.